Hales Gallery is delighted to announce Carolee Schneemann’s Kinetic Painting will be opening next month in MoMA PS1. Recently exhibited at Museum für Moderne Kunst, Frankfurt, Kinetic Painting will be showing again from October 22nd 2017 until March 11th 2018 in New York. MoMA PS1 presents the first comprehensive retrospective of Carolee Schneemann, spanning the artist’s prolific six-decade career. As one of the most influential artists of the second part of the 20th century, Schneemann’s pioneering investigations into subjectivity, the social construction of the female body, and the cultural biases of art history have had significant influence on subsequent generations of artists. 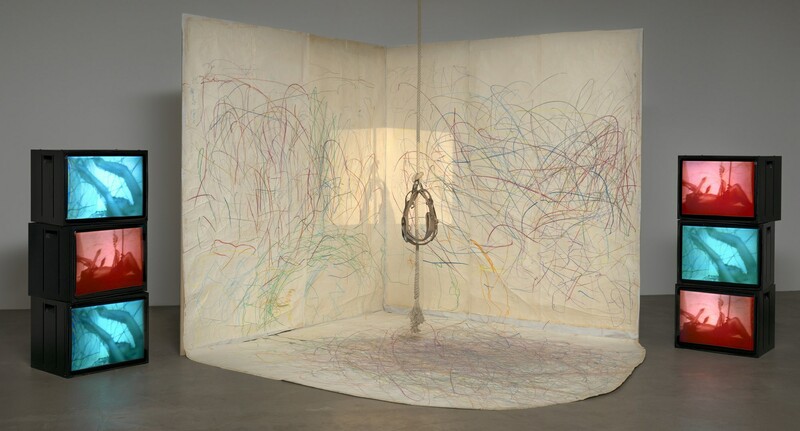 Carolee Schneemann: Kinetic Painting begins with rarely seen examples of the artist’s early paintings of the 1950s and their evolution into assemblages made in the 1960s, which integrated objects, mechanical elements, and modes of deconstruction. In the late 1960s Schneemann began positioning her own body within her work, performing the roles of “both image and image-maker.” As a central protagonist of the New York downtown avant-garde community, she explored hybrid artistic forms culminating in experimental theater events. 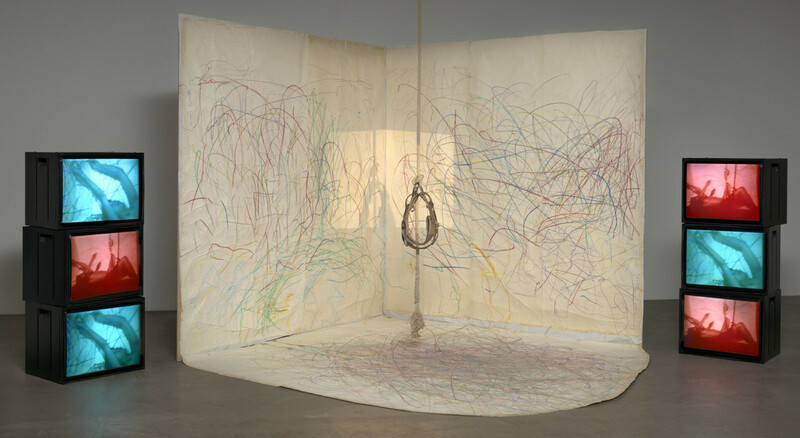 The exhibition considers Schneemann’s oeuvre within the context of painting by tracing the developments that led to her groundbreaking innovations in performance, film, and installation in the 1970s, as well as her increasingly spatialized multimedia installations from the 1980s, 1990s, and 2000s.